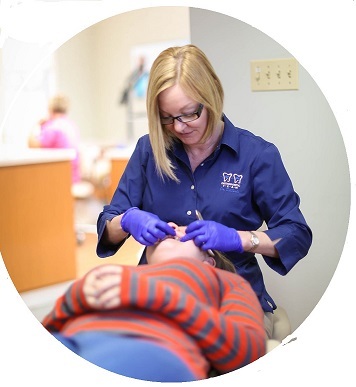 Your first visit will give you the opportunity to meet our team, get acquainted with our office, and learn a little about orthodontic treatment. The initial consultation will help us create a customized plan to help you reach your goals with the treatment that is optimal for your smile. During the initial examination for each patient, we will address the following questions that cover the basics of orthodontic treatment. We encourage you to ask questions as well. See our Help Guide on How To Choose an Orthodontist. until appropriate growth, tooth eruption, or other factors have occurred? If needed, we will schedule a follow up conference to discuss treatment options, time frames and financial arrangements. We insist that our patients leave the office with a clear understanding of their specific needs, what the treatment will consist of and how long it will take. Also, we will answer any additional questions. Click to Schedule Your Complimentary Initial Visit Today!